I was a little hesitant to wear this to work at first, because this dress is rather short; although I love short dresses, it's not so appropriate for the office. I couldn't resist the urge to wear my new threads today, so I threw on my oversized 99¢ Chinese eBay trench to cover up my backside. 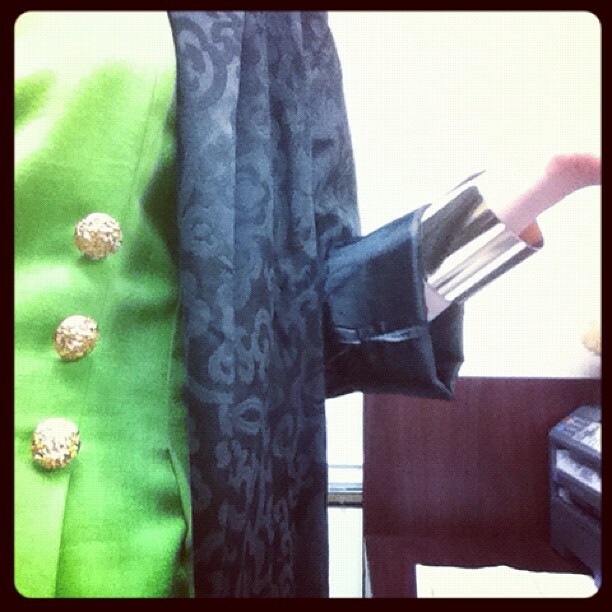 I also had to throw in my favorite gold cuffs from Asos (similar here and here) to tie into the gold buttons. 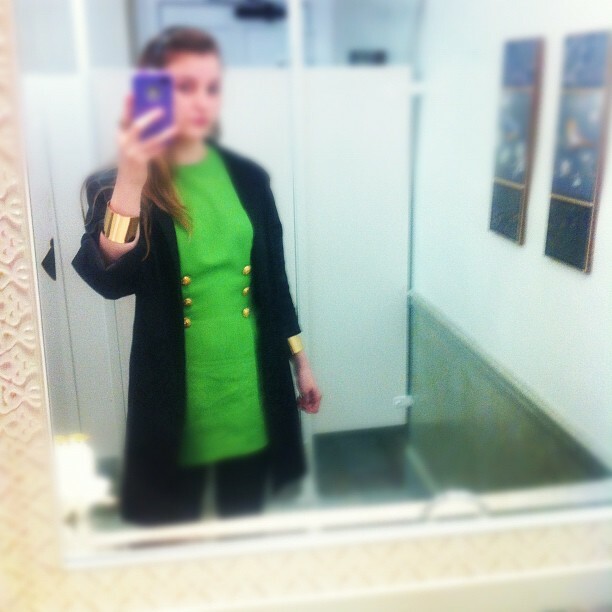 For some reason, I have an obsession lately with gold buttons and I just want more and more! I must be going through a lime green phase also, because thanks to A Lacey Perspective I just bought this green pleated maxi from Old Navy (for less than $10!!). I had been looking for an affordable pleated maxi skirt for awhile and I'm so glad she posted about this one! Make sure to check out EBV's active auctions, there are some really great and unique pieces for very affordable prices. Market Publique is also a great platform for selling, because they have bidding styled like eBay and it makes for great buying and selling! Be sure to check back tomorrow for my Friday's Fancies! This weeks theme is: Let's Fly Away!